It’s a darkish comedy about a suburban realtor Sheila Hammond (Drew Barrymore) and how she suddenly finds herself craving human flesh for consumption and the trials and tribulation one encounters when one finds themselves in that peculiar situation. 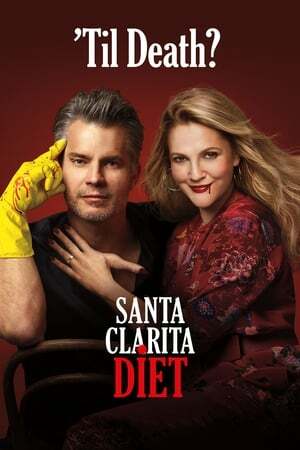 The pilot is funny but a bit rough in the pilot but as you plow through the first few episodes of Season 1, the further you get, the dynamics become more cohesive and entertaining as her husband Joel (Timothy Olyphant) and their teenage daughter Abby (Liv Hewson) along with their nerdy neighbor Eric (Skyler Gisondo) try to find out how this transformation came about and maybe come up with a cure. It can be a bit gory with lots of blood and internal organs flying all around but if you are cool with that, it can get pretty addictive as the writing is hilarious with the theme of family (comes first) and telling the truth.